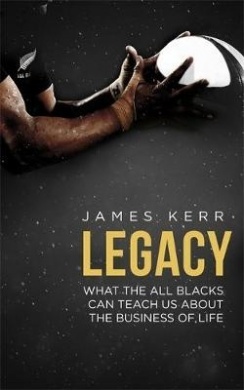 In the last blog, reflecting on the book “Legacy”, by James Kerr, I started to explore how the All Blacks have managed to create such an excellent culture; reflecting on what we can learn from it in the health and social care system (or indeed any environment). Of the 15 principles outlined, I looked at the first 8 (the pack) and now I will look at the back 7. 9) Stay Focussed under Pressure – The eighth principle is to practice under pressure and learn to keep a cool head. This ninth one is about individuals and the team keeping their focus and attention on the task in front of them when the pressure comes. There are times when the stress is on. We are hard pressed from every side. The powers are breathing down our necks, the crisis is in front of us, we feel under resourced, over stretched and at the end of ourselves. Keeping our heads, and not losing them at such times, is the mark of a team who know how to manage themselves and take care of each other. This is really about learning to be mindful, to be present in the moment and to centre ourselves well. At times of real pressure, psychologists recommend three key things: 1) Slow your breathing down and focus on the breath flowing in and out of your body – this calms the mind and brings you into the present. 2) Find a repetitive action, like tapping your foot, scrunching your toes or clicking your fingers to help your body connect to the moment you are in. 3) Rehearse some mantras, which you can repeat back to yourself, over and over, to remind you of the basic things you need to do. That is what we use ABCDEF for in resuscitation – it’s why we need the automatic pilot. It also makes us far less likely to snap at team players and hurt relationships when the proverbial hits the fan. 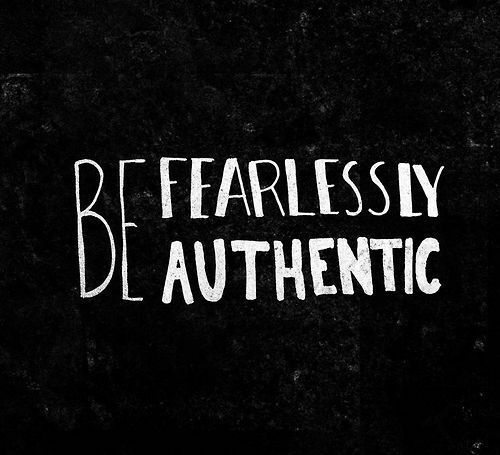 10) Authenticity – the best leaders stay true to their deepest values, no matter what situation they find themselves in. Honesty = Integrity = Authenticity = Resilience = Performance. Be taken at your word. Say what you mean and mean what you say. Be true to who you are, no matter where you are. 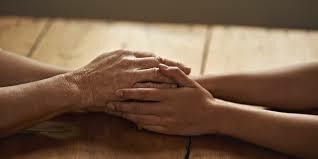 To be lovely at work and a terrible person to your spouse or family lacks integrity and authenticity. Good people make good leaders. 12) Language – Sing your world into existence. I hosted a conversation in Morecambe recently, in which I shared that I often sing to places as I drive or walk through the streets (weird, I know!). But I asked everyone there, that if they were to sing a song to Morecambe, what that song would be. There was nobody without a song! Leaders are storytellers. All great organisations are born from a compelling story. Words and values really matter. Organisations need their own vocabulary, mottos, mantras and metaphors. The food of a leader is knowledge and communication. In Morecambe Bay, we are beginning to develop a language and a narrative around ‘The Bay Way.’ We want our vocabulary and our dialect to reflect the vision, values, culture and behaviours here. 13) Ritual – now, it might be pretty awkward if we all started to try and do the Haka at the start of our meetings! Not only would be awkward but it would make little cultural sense! Even for the All Blacks, the Haka has had to change. The team is no longer predominantly Maori, but a mixture of many cultures. They have had to go on a journey together of how to keeep and adapt a ritual that really means something and connects the team together. Ritual makes the intangible real. It can take many different forms, but it really is vital. It might be a daily team check in, but my sense is that it takes some bravery to establish and continue. In the West, we are so much more detached from our sense of corporate history and identity. Perhaps we feel embarrassed about it or no longer know what it means for us now. What might ritual look like in our work places and teams now? There is a Maori phrase which says: “Tell me and I’ll forget. Show me and I may remember. Involve me and I’ll understand.” This is why I am so keen for our teams to experience things together, like the Art of Hosting. It is in the partaking, the encountering of the ‘other’, the immersion in the experience in which we find ourselves changed. 14) Whakapapa – this is the principle of being a good ancestor. What are you sowing into those around you. The All Blacks make it really clear that becoming an All Black is a privilege not to be taken lightly. When you receive the jersey, it comes with a weight of history and a responsibility that you take it to the next level. The challenge is not to aim for something nice to be written on your grave stone, but for your fingerprints to be left in the lives of those around you, so that the thread of your story is continued. Here are some good words: Care for the land, care for the people. Go forward. Grow and branch forth for the days of your world. 15) Legacy – This is your time. What will you do with it? What will your legacy be? There is so much to reflect on in the chapters of this book. We are in danger of rearranging the systems in which we work, without dealing with the issues of the heart. I will keep on saying this: Culture is vital. If we do not get our values and our culture right, we build on very shaky foundations and our house will not stand. Taking the time to reflect and build our culture together will enable us to create a legacy for the future that will be beautiful and life giving.